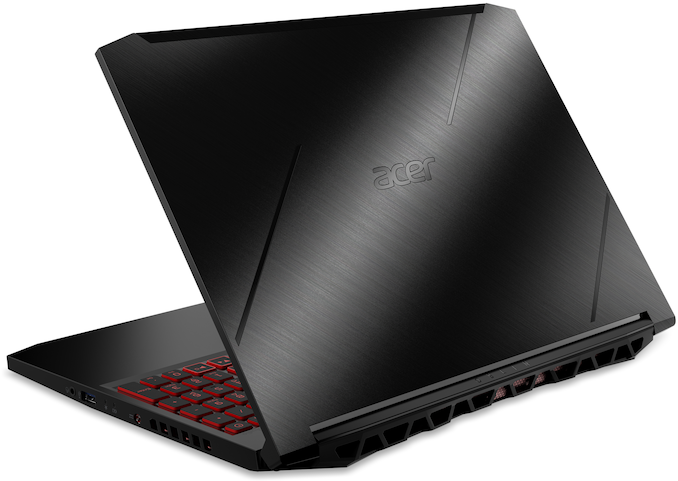 Acer has introduced its brand-new series of gaming laptops aimed at casual gamers. The Nitro 7 notebooks combine performance, a 15.6-inch display with 144 Hz maximum refresh rate, a metallic chassis, and a sub-2 cm z-height (0.78 inches). Just like other Nitro-series products, the new laptops will be relatively cost effective. Having grown quite significantly in the recent years, the market of gaming laptops is actively segmentizing as consumers these days want not only enough compute horsepower for their games, but rather a particular combination of features tailored for their unique needs. The new Acer Nitro 7 is a good example how PC makers try to address demands of their customers. The Nitro 7 sits between mainstream and high-end gaming PCs, offering style and affordability of today’s mainstream laptops yet providing higher performance when equipped with premium components. The new Acer Nitro 7 comes in a sleek black brushed aluminum chassis. Being 19.9 mm (0.78 inches) thick, the laptop should be easy to transport. 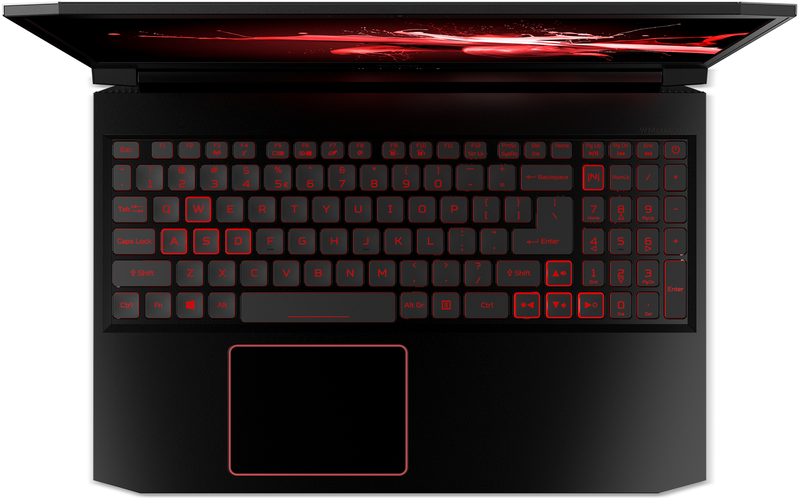 Meanwhile, the laptop has red backlighting for its keyboard and trackpad that emphasizes its gaming pedigree. The elegant chassis packs rather serious performance. The Nitro 7 is based on an Intel 9th Gen Core processor, a discrete NVIDIA GeForce GPU, and up to 32 GB of DDR4 memory. To ensure smooth operation of the CPU and the GPU, the Nitro 7 uses a cooling system with two fans and two exhaust ports along with the company’s CoolBoost technology that increases fan speed by 10% during extended gaming sessions. Besides, the system has two M.2 slots for PCIe 3.0 x4 SSDs running in RAID 0 for performance, and a 2.5-inch bay for a hard drive of up to 2 TB capacity. To provide maximum gaming comfort, the Nitro 7 can be outfitted with a 15.6-inch IPS display featuring a 1920x1080 resolution, a 144 Hz refresh rate (with overdrive), and a 3 ms response time. When it comes to connectivity, the Acer Nitro 7 has everything one comes to expect from a modern gaming laptop: a 802.11ac Wi-Fi + Bluetooth 5 controller, a GbE port (controlled by the Killer Ethernet E2500 in some SKUs and equipped with Acer’s Network Optimizer software in other cases), one USB Type-C connector, three USB Type-A port, an HDMI output, as well as a 3.5-mm jack for headsets. In addition, the machine has stereo speakers and a microphone array featuring MaxxBass and MaxxDialog software enhancements as well as a webcam with IR sensors for Windows Hello. 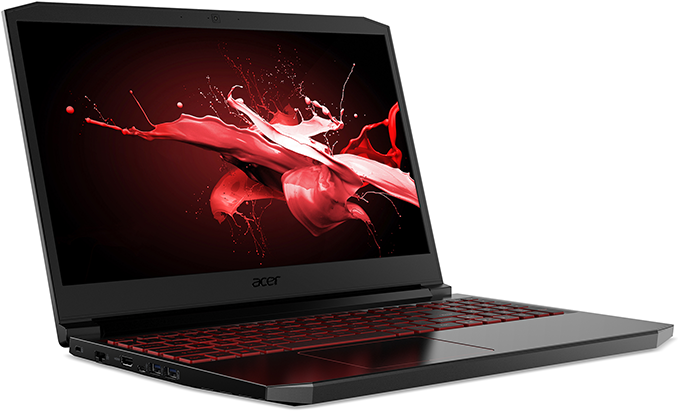 The Acer Nitro 7 notebooks will be available in the coming weeks or months. Additional details about specifications of the mobile PCs will be disclosed when they hit the market. North America will be the first to see the new laptops starting at $999.99. In May, the Nitro 7 mobile PCs will hit the Chinese market starting at 6,499 RMB. Sometimes in June, Acer will kick off sales of its Nitro 7 notebooks in Europe where they will cost starting at €1,199.